How do I contact Out West Motorcycles? For general customer service questions use the form below to contact us or email at sales@outwestmotorcycles.com Please allow up to 24 hours for a response. In addition, please avoid re-sending emails, as this will only tie up our system. Thank you for your patience. Before you call. Please note our phones are busy during the spring and summer months. For parts not listed on the web site please email your request. We use many different suppliers, email is the best way to get an accurate quote. It takes time to check with suppliers to get price and availability. For questions about stock: We stock all items listed on this web site. Stock is listed on the bottom left of each product page. This is accurate and is updated at the time of each purchase. Most times this is how we check stock. 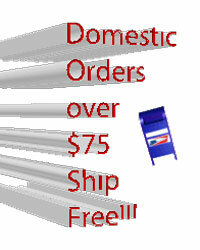 Shipping costs: Please use the shipping estimator on the site. Add your product and quantity to the shopping cart (you don't need to create an account to do this) then click estimate shipping on the bottom left. Fill in the required fields and click update. This is what you will be charged for shipping at check out. We will not add any additional shipping charges. Orders: Ordering online is the safest and most accurate way to place an order. We employ an EV (extended validation) 256 bit security certificate. Only the credit card processor (bank or Pay Pal) has access to your credit card number. We understand not everyone is computer savvy. We do take orders over the phone also. Our number is (503) 928-2757. If you receive our voice mail please leave a message. Calls will be returned in the order they are received weekdays only. Our hours of operation are 10 am to 5 pm Monday-Friday Pacific Time. Unsure of the time difference? Use the widget below to scroll to Pacific time. For returns please read our return policy.